Don’t ignore your IDPs, Pakistan! The military operation in Swat five-years-ago led to the displacement of approximately two million Pakistanis, who had to abandon their homes, commodities and lives overnight to a bleak and uncertain future. Facing obscurity, these two million refugees trekked to safer locales with infants and elderly in tow. According to United Nations Refugee Agency’s (UNHCR) statistics, released as of September 11, 2012, there were 160,063 families still resigned to the Internally Displaced Persons (IDPs) status, of which 12% (18,783 families) were still residing in camps and 88% (141,280 families) were residing in host communities two years back. Though the World Food Programme (WFP) assisted 6,469 families to return to their homes, a substantial number were still stagnant in their national status as helpless IDPs, three years after the Swat operation. These numbers are frightening, especially now, after the launch of the military operation in North Waziristan, code named Zarb-e-Azb. Action against the Taliban is a welcome strategy, given the fear they have sowed within our citizenry in the past year. However, one cannot help but feel anxious about how the nation will address the daunting civic repercussions that lie ahead. If the past is to be our textbook, then we should pay heed to our lessons. This civil war will result in innocent bystanders left homeless and hapless; the government and citizenry must work to proactively pre-empt as much damage as we can. 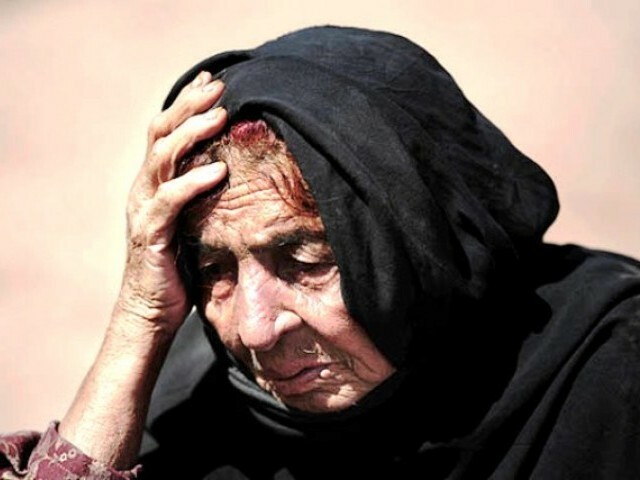 In a report published by the Committee on Foreign Relations, United States Senate, the stories of some displaced women from Upper Swat district were chronicled. Here are a few excerpts from the report. Rahmatun’s husband returned from their village several weeks ago. He told her that there is shooting in their village and the curfew makes it too dangerous for him to go out to buy food. Khyber Pakhtunkhwa (K-P) Chief Minister Pervez Khattak reported that some 70,000 IDPs have already been registered. So, as of right now, there are 70,000 Pakistanis who could end up sharing Sahib’s and Rahmatun’s fate. 1. Short term, immediate relief will need to be provided in the form of food, shelter, clean water and emergency medical care. This includes preventing the outbreak of infectious diseases, which are at high risk in crowded and underfunded camps. To curb this, the government would have to make sure that the displaced people residing in camps and housing with host families have access to proper sanitation and safe drinking water so that no disease outbreaks within the crowded communities. It would be cheaper for the government to provide these basic amenities from the onset than try to cure massive outbreaks of diseases that would come out of neglect of the IDP’s living conditions. Perhaps, calling on policy-makers and emergency relief providers from UNICEF to create response centres will help prevent the outbreak of diseases, like tuberculosis and cholera, which have the potential to wreak great havoc on the physical well-being of the individuals, adding to their already dwindling mental health. 2. Effective security and internal border control frameworks must be set up to ensure no militants flee Waziristan, masquerading as innocent civilians, and then become harbingers of violence in other parts of the country. This situation, if not properly secured and pre-empted, can rapidly escalate, deteriorating, the already shattered, national security and jeopardising the army’s operation. 3. The long-term responsibilities are even more daunting and will require far-sighted politicians to envision radical rehabilitation policies that plan to reconstruct hometowns and infrastructure, which will inevitably be lost. 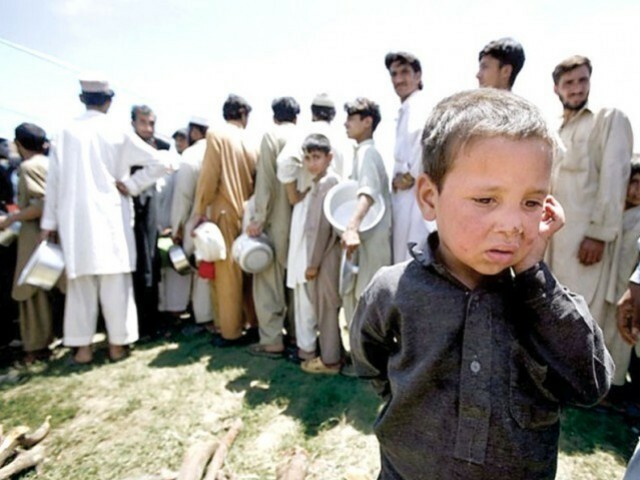 A report published by the Institute for Social Policy and Understanding in July, 2009, regarding the previous IDP crisis, conservatively estimated the rehabilitation of IDPs to cost billions of dollars. The report also advised the government to make long term rehabilitation plans for ‘policing and compensation’ (in the form of effective police forces, hospitals, schools and roads), ‘microfinance and banking’, a ‘liberal media’ that creates awareness about a tolerant Pakistani identity (which is exactly what the Taliban has threatened) and encouraging recreation through cultural development and ‘sports’. These steps, if planned properly, will help ensure a future for our IDPs. We cannot risk our IDPs feeling neglected; this will turn them against the national cause and that is something we cannot afford. This is as much a war of hearts and minds as it is of might and fight. IDPs, if shunned, could become targets of recruitment and brain-washing from the very enemy we are currently expanding our efforts to annihilate. Steps must be taken to ensure that no young boy is coerced or bribed by militants to blow himself up for want of a night’s food for his family. Not doing so will create a dangerous vacuum and cause history to repeat itself in the form of more militant plagues. So much talk about firing on civilians in Lahore. 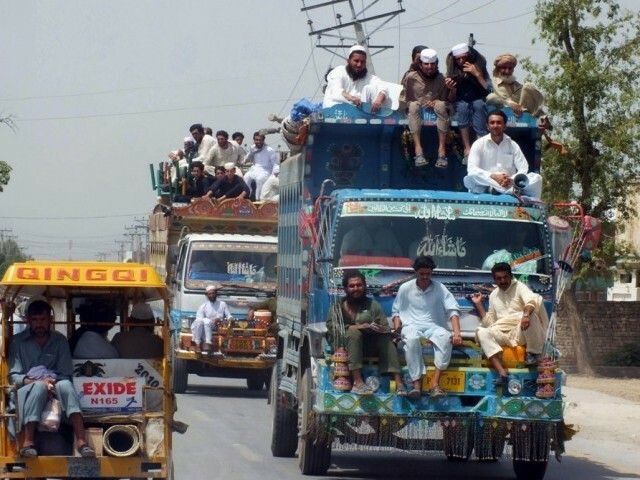 Pakistan is booming entire villages and towns in FATA and not a word of condemnation! 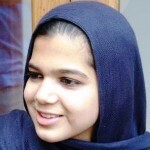 Since, Pakistanis love to state India’s atrocities in Kashmir, they should also know that India never bombed Kashmir even in when the insurgency was at its strongest in the 1990s. There are no non-Kashmiri Pandit IDPs in Kashmir, because India didn’t want to bomb its own citizens.